Lock in a great price for Akapacha – rated 9.6 by recent guests! Akapacha feels more like living together with friends than staying in some hostel. There are a lot of guests that stay for a while for language courses e.g. Every Sunday there’s a common dinner where everyone cooks something from their country and everything is shared. The atmosphere is just great. While people go out together from time to time, it’s definitely not a party hostel. I like the balcony and garden area and they have a really nice dog. 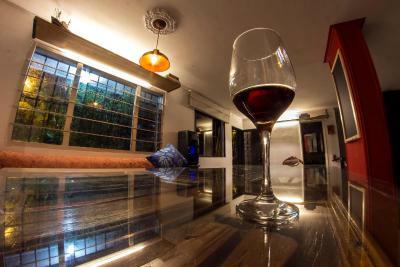 Akapacha was my favorite place of the 7 i stayed in in Medellin. 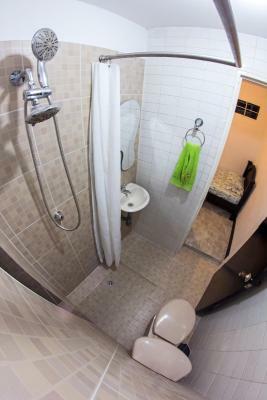 It’s spotlessly clean and comfortable, and a five minute walk to the Floresta station. The neighborhood is peaceful and full of trees, perfect for enjoying a safe nighttime walk. The kitchen has everything you could possibly need to cook. And most importantly Natalia is infinitely welcoming and helpful. You’ll love your stay here. Natalia is such a good host, she even invited me to have dinner with her and other guests on my last night. The kitchen has everything if you need/want to cook and there is even cold beer if you feel like it. 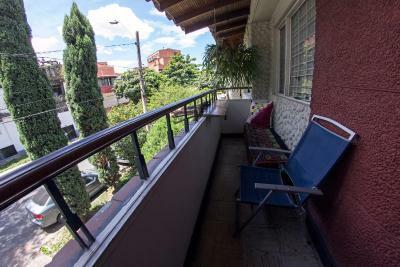 It is very close to the metro station Floresta (about 5-10 min walk depending on your pace), which allows you to get anywhere you want in Medellin in no time. You won't see a lot of tourists in this area, which is great as you can find lots of local restaurants and bakeries. Its a small hostel. Liked the shared dinner where we all Made something. Great to get to know other people. 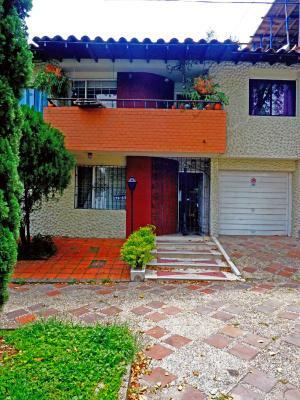 Location is good, near Floresta metro station. Quiet at night (except for the music of the nightclub nearby). Could wash my clothes cheap. Cosy homestay with super-friendly host. Natalie helped us with all our problems and questions. Located close to the metro station and lots of places to eat nearby. We stayed longer than we initially planned. Akapacha is the loveliest hostel you can imagine! It is actually more like a beautiful house than a hostel. This implicates that it is not overcrowed, the atmosphere is very relaxed, space is limited which permits to get to know the other guests and the volunteers working there, which are very friendly, helpful and kind. The owner Nathalia is so lovely, and her dog Lucas too :) I really enjoyed staying there, and would recommend this place in every way. The Akapacha is a perfect place to stay! We cooked a lot and the kitchen have everything you need! There is a nice balkon and the rooms are very clean! You have also a big TV with netflix! To 100% i can recommend this hostel! Thank you Natalia for everything! 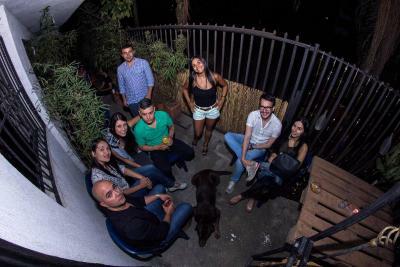 Akapacha has a welcoming, community atmosphere that makes it different from other hotels and hostels in the area. If you're looking for a place that is as comfortable as you'd feel in your own living room--this is it! 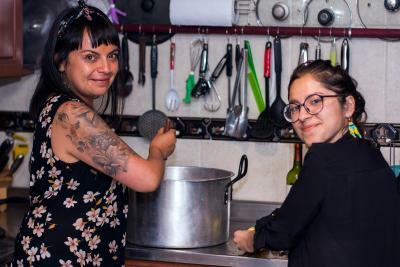 Every Sunday, Natalia (the owner) invites her guests to share a meal around the dining table. I've shared delicious meals and lots of laughs with the community of travelers and locals who stay at Akapacha. There's a patio with lots of greenery and a secluded balcony that are great places to relax. 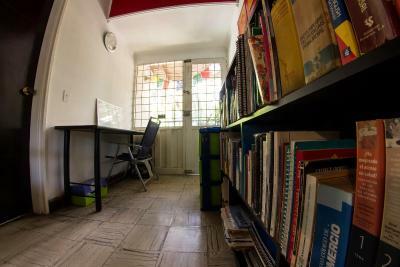 The beds are comfy, the bathrooms and common spaces are clean and the kitchen is stocked with all the utensils you need. 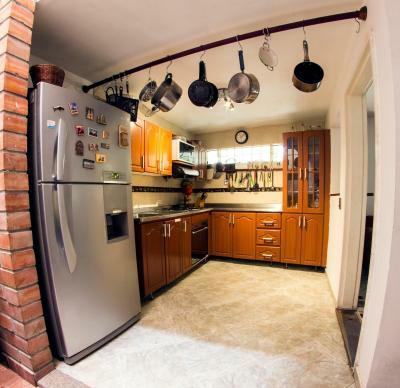 You're also in short, walking distance to Floresta Station. As a bonus, I was in Medellin learning Spanish and Natalia was gracious enough to converse with me at my level and teach me a few new words. I highly recommend staying here. 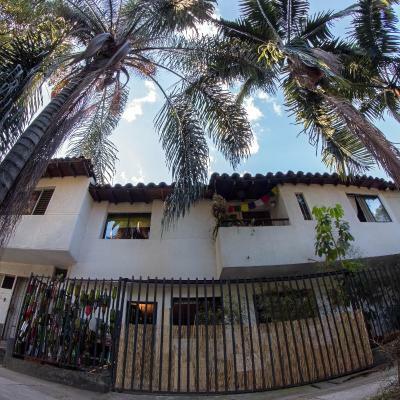 Close to San Antonio's Square, Akapacha is located in Medellín and has a garden. Complimentary WiFi is provided. 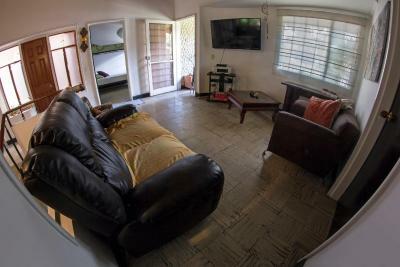 70 Avenue is 1.6 miles from Akapacha, while Pueblito Paisa is 3.5 miles from the property. The nearest airport is Olaya Herrera Airport, 3.6 miles from the accommodation. 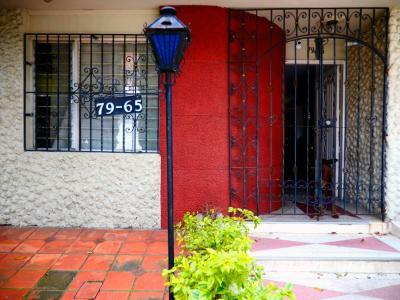 Laureles - Estadio is a great choice for travelers interested in ambiance, tourist attractions and walking. When would you like to stay at Akapacha? This single room has a balcony, kitchenware and seating area. 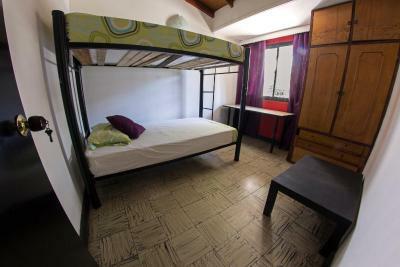 This double room features a balcony, kitchenette and flat-screen TV. This bed in dormitory has a balcony, flat-screen TV and barbecue. House Rules Akapacha takes special requests – add in the next step! One child under 12 years is charged COP 5000 per night when using existing beds. Please inform Akapacha of your expected arrival time in advance. You can use the Special Requests box when booking, or contact the property directly using the contact details in your confirmation. The door is kind of tricky to unlock. But once you know how it works Its ok. The homeless person sleeping outside Sunday morning at 8am. Two of the hosts were very kind. The house was also very beautiful. Thank you for a wonderful time.